Adventure Himalayan Travels has created a 7- days long Pathibhara Darshan Tour that leads you to one of the prominent Shakti Peeth of Pathibhara Devi, located at 3794m altitude above sea level. 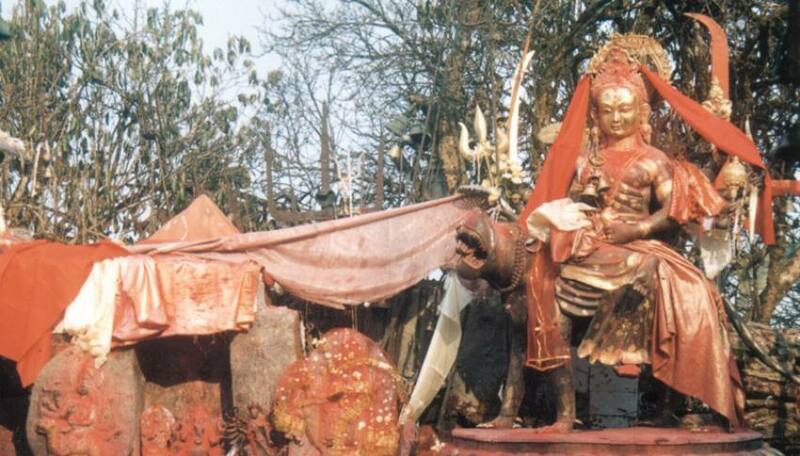 The Holy shrine of Pathibhara Bhagwati is the epitome of religious tolerance among Nepalese as Pathibhara is equally venerated by Buddhist and Hindu Devotees. Pathibhara Devi remains cramped with devotees from as far as India throughout the year. There is a firm belief among pilgrims that enrolling in Pathibhara Darshan Tour and worshipping Pathibhara Ma will make their wishes come true. Pathibhara Bhagwati is chiefly popular among infecund couple as the child giver goddess. Apart from the religious value, our Pathibhara Darshan Tour offers a ride through the thrilling cultural and natural marvels. 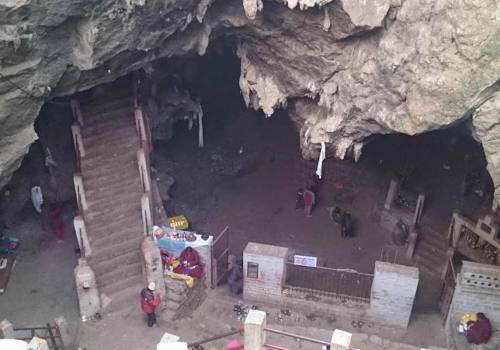 The majority of inhabitants here are Limbus, while people of Tibetan origin occupy the higher regions. Other attractions around Pathibhara region include monasteries at Olangchunggola and Lungchung, a cascading waterfall at Sawa and the fascinating pond at Timbuk. Mystic peaks of Kanchanjunga Range can be viewed from the Pathibhara Temple area. 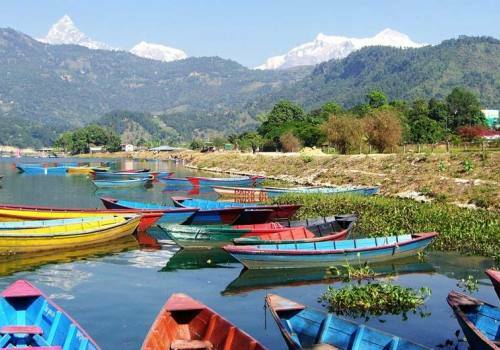 We will commence our Pathibhara Darshan Tour from Kathmandu, enjoying the scenic beauties of waterfalls, river, terraces and mountains throughout the way. After making it to Birtamod, we will pass through Taplejung and Phungling to Phedi and eventually arrive at Pathibhara Devi Temple. We will return via Suketar to Kathmandu and thus Pathibhara Darshan Tour concludes. 1 night Hotel in Birtamod, 2 nights in Taplejung, all with twin sharing basis with Breakfast,Lunch and dinner. 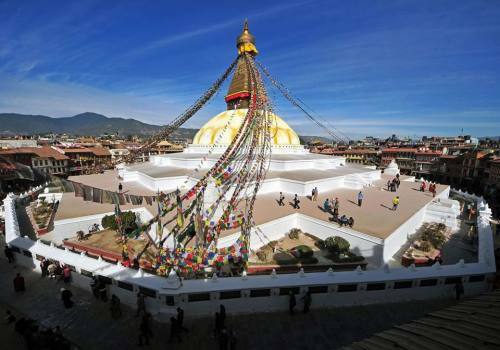 Sightseeing tour at Kathmandu by private vehicle. Adverse weather, landsclides, unforeseen events, etc. 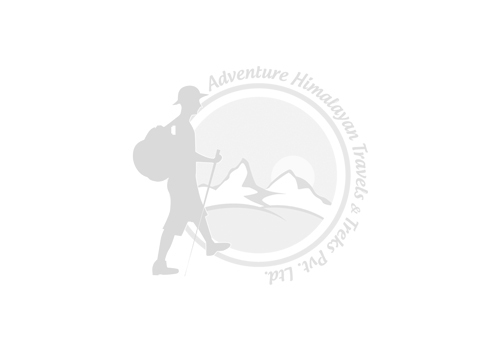 Day 01Arrival in KathmanduRepresentative from our- ‘Adventure Himalayan Travels’ will greet you in Tribhuvan International Airport and take you to the hotel where you will be shortly explained about your trekking package. You will spend the smooth night in our hotel. Day 02Sightseeing in KathmanduKathmandu Valley includes several UNESCO World Heritage Sites, including Pashupatinath (famous Hindu temple and cremation ground) Boudhanath (massive Buddhist stupa). We can also visit Swyambhunath, also known as Monkey Temple, which was built roughly 2000 years ago. Finally, we can visit Patan, city of fine arts. In the afternoon, you will be meeting with your trekking guide and will check all the necessary things. Overnight stay at the hotel. Day 03Drive from Kathmandu to BirtamodAfter an early breakfast, we will follow the road all the way to Birtamod which usually takes 11 hours of driving. We will stay in hotel overnight. Day 04Drive from Birtamod to TaplejungLeaving Birtamod behind, we drive in a tourist coach along the road towards Phungling, the district headquarter of Taplejung. We will stop on the way for sightseeing in Ilam. Day 05Drive from Taplejung to Kaflepati, walk to Pathibhara, drive back to TaplejungToday's itinerary is the highlight of our tour, when we reach Pathibhara temple. We take an early breakfast, around 5 or 6am. Our path follows through Deurali and Chhatedhunga before ending up in Kaflepati after about 1 and half hour of long driving. We then walk about 4 hours up to the temple for Darshan. Pathibhara Temple is firmly believed to fulfill your wishes. So be sure to make your wishes before walking down to Suketar (or Taplejung), where we will stay for the night. Day 06Drive from Taplejung to Birtamod, then night bus to KathmanduIn the morning, we begin our drive to Birtamod, taking breakfast along the way. After arriving in Birtamod, we wait for the night bus, which we will take to Kathmandu. Overnight in bus. Day 07DepartureOur representative will assist you in last moment preparation and will drive you back to Airport from where you will return to your beloved ones. We hope to see you again.